that would help bolster any truck driver turnover reduction initiative. specialty or regional concerns. For PEOPLEASE clients, customized turnover metrics can be populated rather easily. upon the collective turnover metrics generated from our vast national client base. “Other” factors include unsatisfactory performance, company policy, and health reasons to name a few. 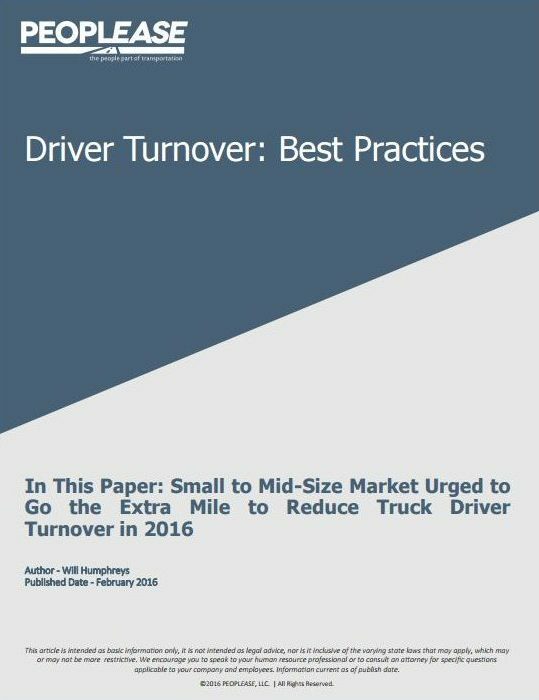 extra mile in reducing their driver turnover in 2016. -Cassidy, William B. (February 2, 2015). US truck driver turnover rate rises, pressuring shipping costs. www.joc.com.